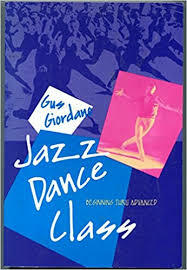 Gus Giordano calls himself the “Grandfather of Jazz Dance”, a title he has earned through a rich history in jazz dance. Paper Masters custom writes research papers on any musician you need biographical information on. Our writers will also examine their music or report on a particular style of music, such as Giordano and the Jazz era. In 1955 he and his wife Peg opened a dance studio in Evanston, Illinois. Gus Giordano has become and institution in the world of dance, particularly jazz dance. The term “jazz dance” dates back to the 1920's. It is an ever-evolving form of dance since it is more of an artistic movement than an actual, descriptive style. Tap dancing and dances such as the Charleston and Black Bottom all have roots in jazz dance. Throughout this century, well-known dance artists such as Fred Astaire and choreographer Bob Fosse have demonstrated their own style of jazz dance. The Story of American Vernacular Dance by Marshall and Jean Stearns, and is stated, as “A fundamental element of African aesthetic expression was the dance…Dance could be of a recreational or secular nature and in one form or another pervade all of African life”. Giordano’s notoriety in jazz dance began in 1968 when he put together a demonstration of jazz dance for the Bolshoi Ballet. The Russians were so impressed with Giordano and the five dancers he choreographed that they asked them to tour in Russia. Since their tour in Russia, they have performed in Germany, France, Italy, the Bahamas, Canada, Japan, South America, Aruba and throughout the United States. His personal beginning in the arts is in ballet. Giordano was a student of Hanya Holm and Alwin Nikolais, but he also lists the clean balletic style of Jerome Robbins as an influence. To Giordano, “the jazz dance form is movement … that starts in the stomach or solar plexus and creates a mood”. Giordano’s style relies on the expression of the body in the midrange and outward. The roots of jazz dance suite his spontaneous and bright personality perfect. The religious Protestants that had set up missions in their regions oppressed the Africans who practiced expressionist dance in their celebrations and customs. Whenever possible, in secret, they danced to remind themselves of their own culture. This included any type of spontaneous dance for joy that was part of the African-American expression. This spontaneous expressionism is the heart of jazz dance and what Giordano teaches. Javanese and Balinese Dance Research Papers look at the important elements for understanding the individuality of each cultural group. Israeli Folk Dance Research Paper examines how this type of dance came about, and the different developments of it over the years. The Dance of Deception research papers look at a book by Harriet Goldhor Lener that describes why women lie, and incorporates her life story in it. Defining African American Culture - Some topics that are common to focus on when defining African American culture are: The Arts in African American Society. Martha Graham - Martha Graham Research Paper delves into the life of one of the top one hundred most important Americans in the twentieth century. Kabuki Research Papers explore this Japanese style of dance that came about in the 1600's. Diary of Nijinsky - Both his mother and his father were themselves dancers, and they were Vaslav's first dance teachers. Paper Masters writes custom research papers on Gus Giordano and looks at his history in jazz dance, and his beginnings in the art of ballet.